Life as Pink Einstein | Dallas Fashion and Lifestyle Blogger: Happy Fourth of July! I love everything about the Fourth of July. This year since The Fourth is in the middle of the week I am actually home to celebrate and I'm so excited! We celebrated a day early so that people could sleep in on their day off and we had a ton of fun! McCray and a few family friends came over last night and we watched fireworks, swam, ate some delicious food and did sparklers. Here's some pictures of McCray and I while we were doing sparklers! Tonight my brother, sister, and I are going to hang out in the pool and watch fireworks, eat homemade popsicles, and do more sparklers! I can't wait! 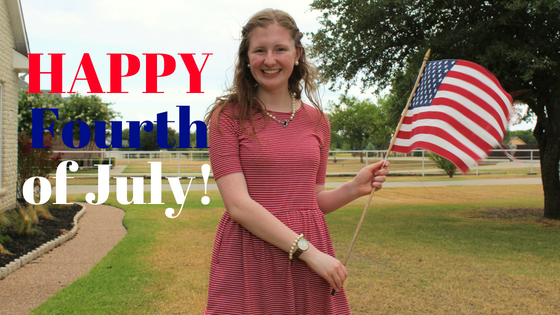 Happy Fourth of July!